How do these areas compare to the rest of that covered by this blog? Very hard to say as we were plagued with terrible weather (we cut our 2012 trip short in the end) and the ice conditions seemed a bit thin compared to past photos. 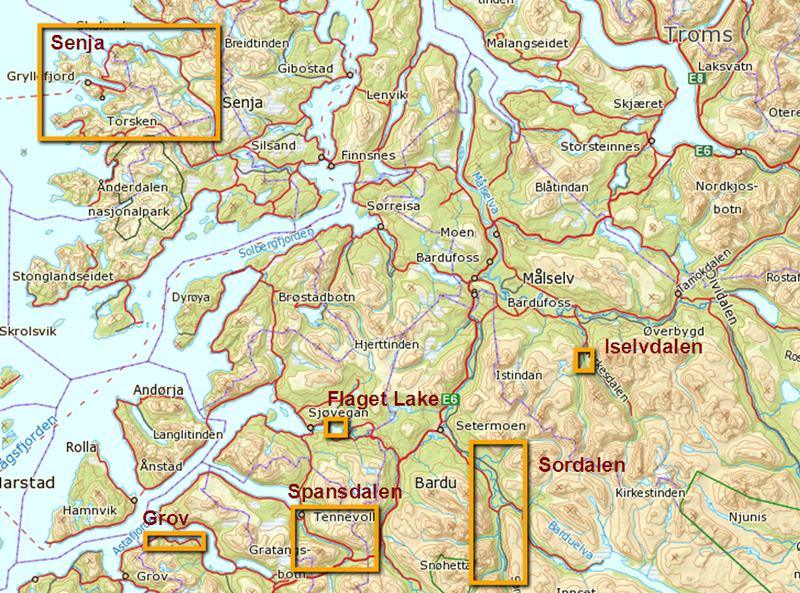 Generally, for more scottish stuff, head to Senja, and for very long harder routes, head to Spansdalen and Sordalen (though there is plenty of easier stuff too). 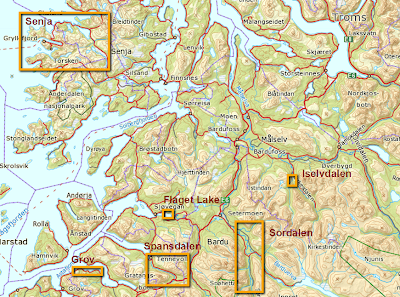 By reading this blog alone, you would assume there is much more around Lyngen, that isn't necessarily the case - its just there are already resources out there for these areas so we haven't covered them to the same detail. Given perfect weather and a month, I reckon (for pure ice climbing) two weeks at Lyngen and a week at each of Senja and then Spansdalen/Sordalen (for WI4/5/6) would be the ideal.